VT Feet Type 7 is ideal for large volume but light weight speakers. 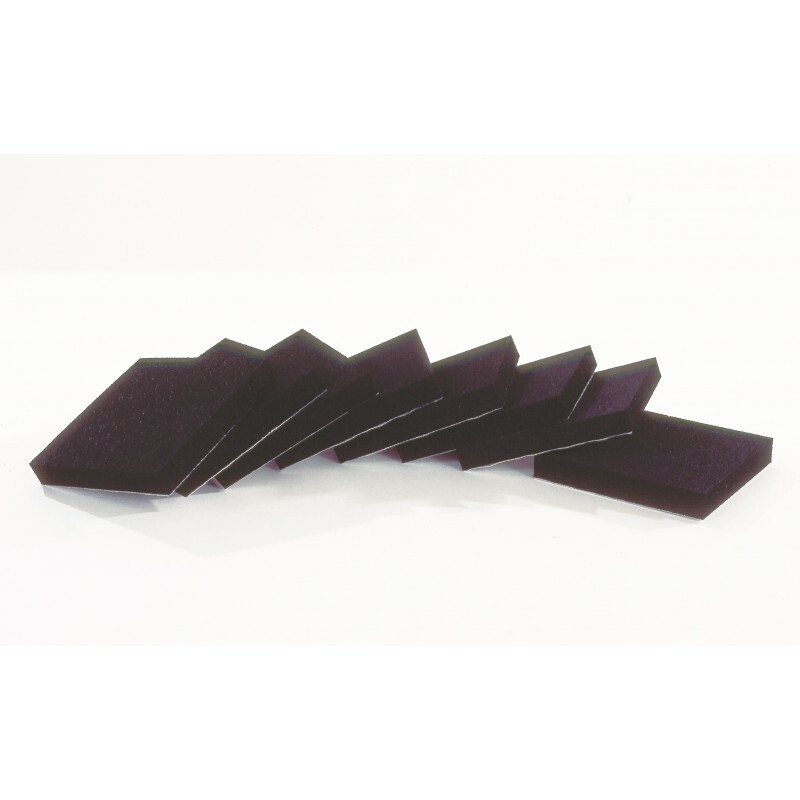 These dampning feet effectively isolate the speakers from the floor and prevents vibrations, for example the bass beats, from spreading to other parts of the building. 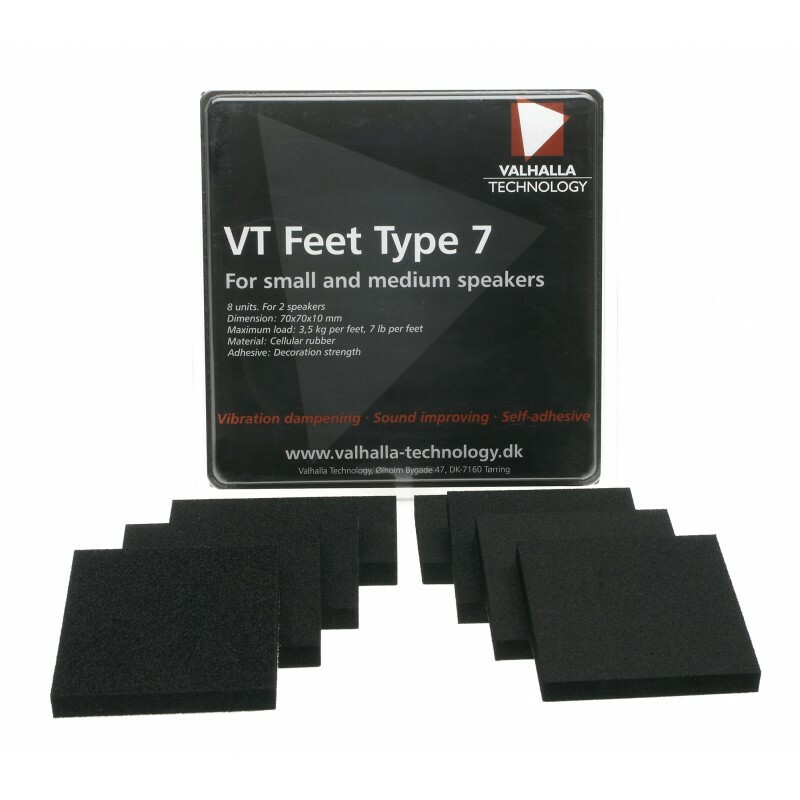 VT Feet Type 7 allows you to hear the music you like without the speakers generating additional noise that can disturb you sound quality. Easy to use. Place 4 pieces of VT Feet Type 7 under each loudspeaker as close to the outer corners of the bottom. Remove the lining to expose the mild adhesive that attaches the VT Feet to the speaker. Make sure no other parts of the speaker protrude further down than the part of the VT Feet attached to the speaker. The VT Feet can be removed again without damaging the cabinet finish. Note: Never exceed the maximum allowed weight for the VT Feet. For the VT Feet Type 7 this means the loudspeaker must weigh less than 14 kg.